Our Exhibition journey is fast approaching to the end. Groups have almost finished their individual inquiries and now they are sharing their findings with each other, reflecting on gathered information, prepating their stands and busy with ideas to take action. Some of them are analyzing their surveys, improving thinking skills by breaking the information into parts, looking for similarities, differences or some sort of patterns. 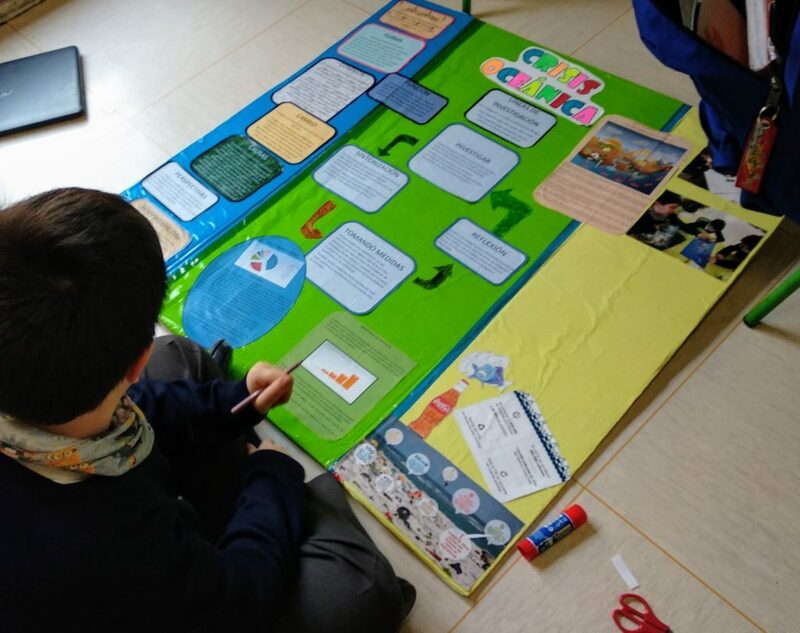 They have been finding out different points of view to draw their conclusions to get ready for the presentation of their work on the Exhibition. Others have been making charts to compare information and make it more visible for themselves and their peers. As they see the charts it suddenly makes more sense. So they are able to understand the importance of gained information better. Some of the students have been reading through the interviews highlighting the most important and relevant information. 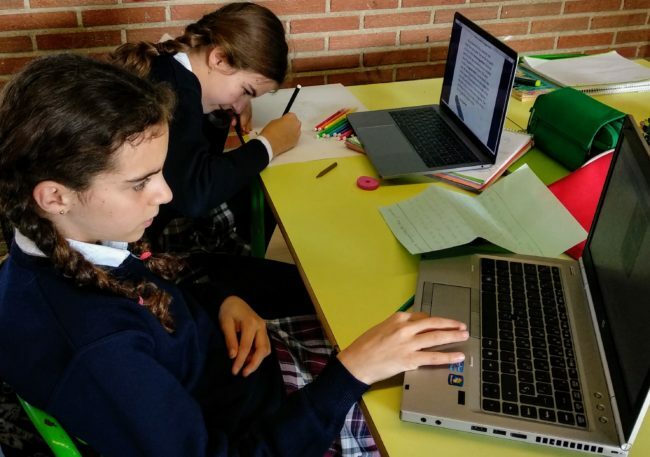 They discuss their opinions as a group to be able to write summaries on certain interviews emphasizing the experts’ most important thoughts that caught their interest and made them change their thinking in one way or another. Creating their own ideas or not once, some of them radically change their opinion on the topic according to what they have found out. They have been synthetizing all the recorded information from different resources to find answers for all their questions. Reading through weekly diaries to complete some information. It has been a long journey with a lot of inquiries, using all sort of resources such as books, magazines, interviews, surveys, websites, videos, teachers, parents, mentors, experts… It has been also a long bumpy journey with some disagreements on the way, some friendships were broken and mended, new friendships formed and began to bloom, cooperation skills improved significantly. A lot of exploration took place not only new knowledge and skills but including self-exploration, as well. Kids have learnt a lot but during the journey as I have been watching them, helping them and guiding them through the inquiry process I caught myself immensed into their researches, trying to answer their questions myself, as well. I have also changed my attitude towards some things including how I look at social media, deforestation or the ocean crisis. 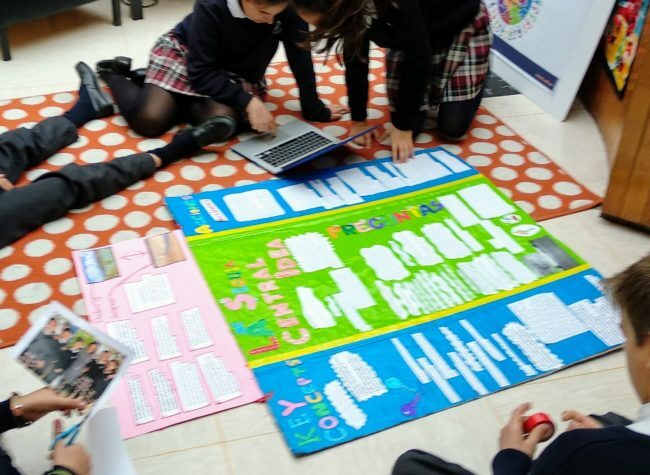 Groups have started to prepare their stands with information about the work they have done to present it to the IB community, families, teachers, friends. 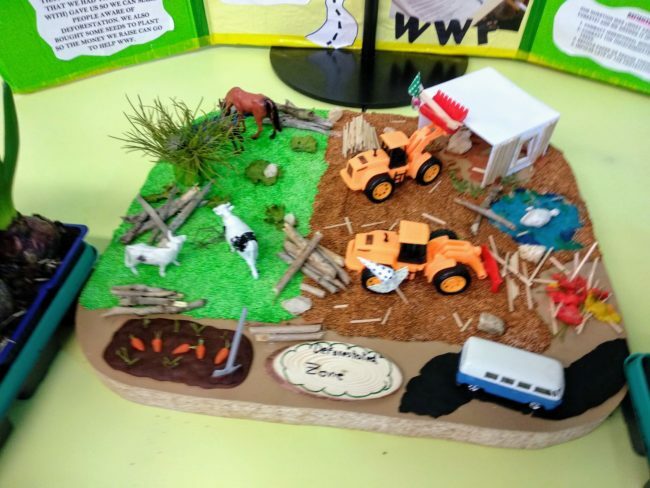 As part of taking action some of them have been creating soap and cream with natural materials and without using any plastic to make people aware of the waste of the big amount of plastic we use and throw in a daily basis. Others were making models to illustrate the damage people make with their careless behaviour. One of the groups has written some companies and ask them to sponsor their case with free gifts they give out to visitors who listen to their presentation, play a quiz after, answer some questions and give their advice on how to help the problem. They have just got a letter from one of the companies congratulating the boys and giving them full support by sending them a box of pens, some T-shirts, umbrellas and a football to give out. That was an amazing surprise for them. I loved the smile on their faces when they came to show me the letter and asked me where to put the box of presents. 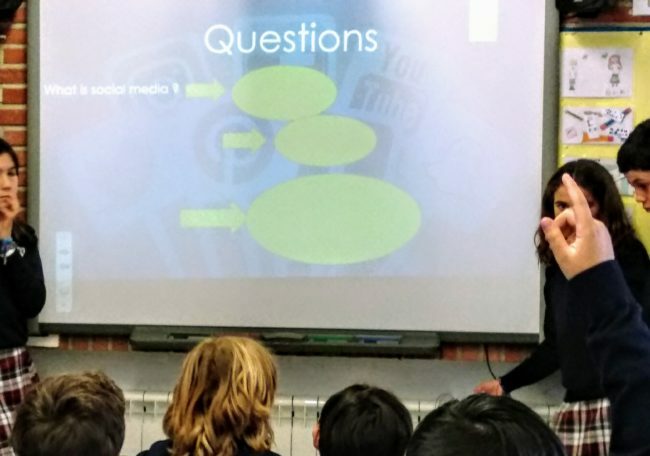 The group who were engaged with the dangers of social media, prepared a presentation for younger students to make them aware how harmful social media could be if they don’t use it right. What I personally loved about this presentation that my students made it interactive with a lot of questions and participation. They involved the younger ones and made them feel that is their problem and future as well. 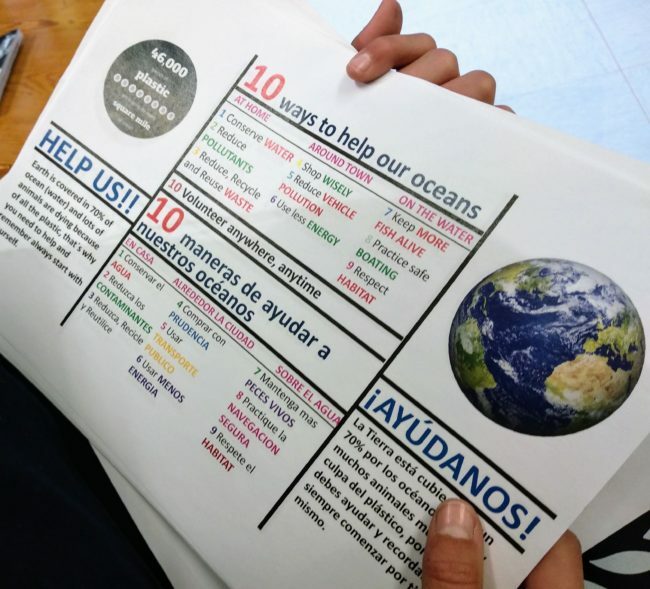 Some kids are determined to save sea animals or at least make some circumstances better. So they put their heads together and designed a handout with some advice to follow in order to help solving the crisis. There we are now. Another week to go. I guess it’s going to be a very intense week. Fingers crossed but hands are busy. Let’s see how it goes.